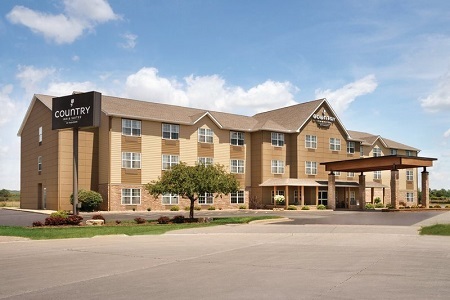 At the Country Inn & Suites® by Radisson, Moline Airport, IL, you can treat your family to a free, hot breakfast every morning of your stay. Free transportation to and from Quad City International Airport (MLI), located only three minutes away, makes travel easy. While you’re in town, make time to attend an event at the TaxSlayer® Center or spend the afternoon at the John Deere Pavilion. Want to experience the local nightlife? Downtown Moline is only 10 minutes from the hotel. 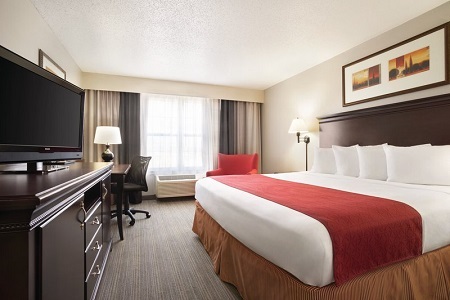 After a fun night, wind down in one of our comfortable rooms. In need of extra space for your family vacation? 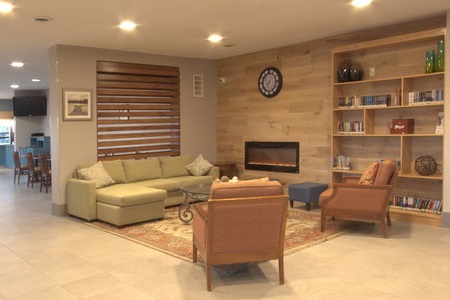 Choose a One-bedroom Suite to enjoy a separate living room with a sleeper sofa. 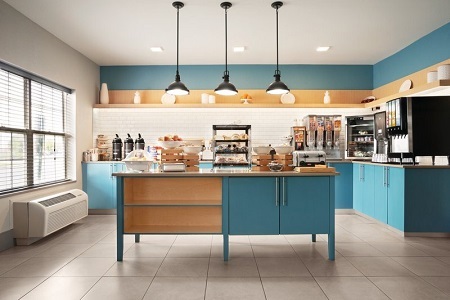 Save time and money by starting your day at our complimentary, hot breakfast. Fill up on items like Belgian waffles, scrambled eggs and sausage, or grab a muffin and a piece of fresh fruit on your way to the airport. For lunch and dinner, you can head downtown for a wide array of casual and fine-dining options or stay close to the hotel for great restaurants like Montana Jacks Steak House and Miss Mamie’s. TaxSlayer® Center – Watch concerts and sporting events at this 12,000-seat arena and conference center, just 15 minutes from the hotel. The TaxSlayer® Center is the home of the Quad City Storm hockey team and hosts top music stars like Cole Swindell and Dustin Lynch as well as family entertainment such as Disney On Ice. Downtown – Only three miles away, downtown Moline stands on the riverfront of the Quad Cities and is home to restaurants, shopping, art galleries and a vibrant nightlife. Stop by the Quad Cities Convention and Visitors Bureau to pick up a walking brochure with information about the area’s early 20th-century architecture. John Deere Pavilion – This family-friendly museum features exhibits of both modern and historical John Deere equipment. Children can even sit in some of the tractors. The John Deere Pavilion is only 15 minutes from our hotel, and visits are free. In town with a tour group or sports team? 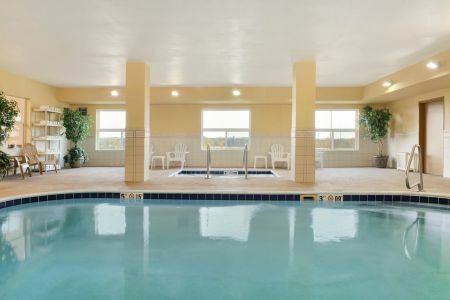 Enjoy special group rates at the Country Inn & Suites. Our inviting breakfast room is also available for group meetings.